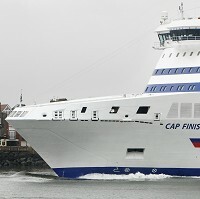 Brittany Ferries will begin a new route linking the UK to Spain from Sunday. The company said the service will connect Portsmouth to the northern Spanish city of Bilbao, its first new port destination in 25 years. Britons planning to book a trip to Spain are advised to make sure they take out adequate travel insurance cover. The upcoming service will complement Brittany Ferries's existing service between Portsmouth and Santander. Mike Bevens, group passenger commercial director at Brittany Ferry, said: "Bilbao has forged a reputation as a destination in its own right in recent years. "As the numbers of air travellers from the UK to Spain have declined, we've witnessed a surge in demand for direct UK Spain crossings."